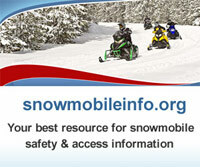 Snowmobileinfo.org contains the most comprehensive collection of online and downloadable snowmobile safety education tools and training materials you’ll find anywhere. 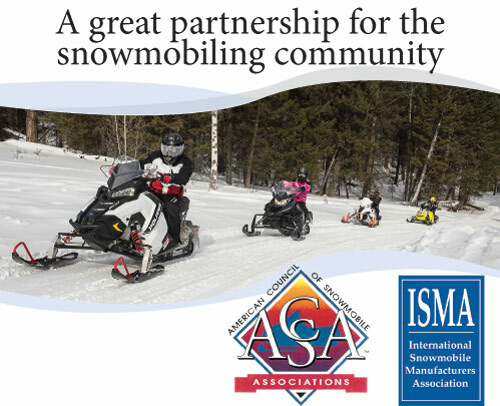 Collaboration between the American Council of Snowmobile Associations (ACSA), the U.S. Federal Highway Administration (FHWA) and the International Snowmobiler Manufacturers Association (ISMA)— snowmobileinfo.org contains an extensive collection of safety education resources, avalanche education and information, training manuals and other resources available for snowmobilers, general public, snowmobiling clubs, management agencies and land managers. 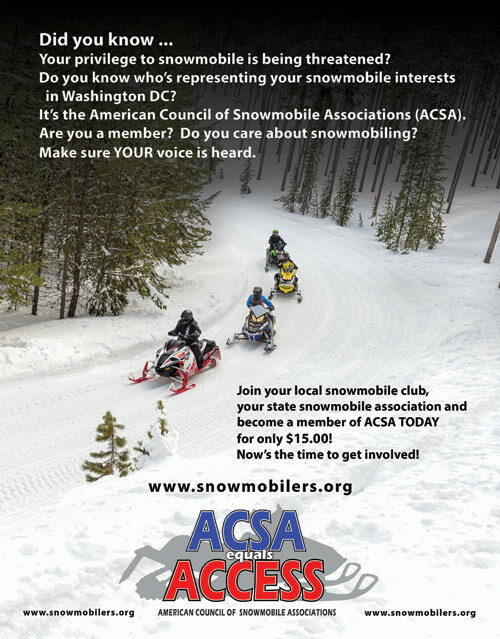 Download the video (70.9 MB). 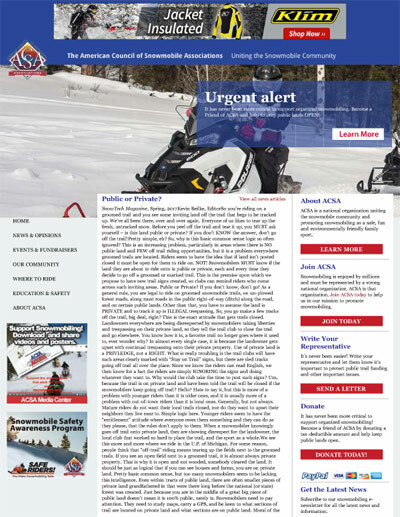 30-second audio PSA reminds riders that alcohol consumption lowers cognitive functions such as vision, balance and reaction time, which are imperative to the operation of a snowmobile. 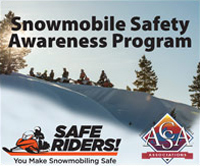 Speed Kills 30-second radio spot) reminds riders that no matter how familiar the trail, or how thrilling the experience, excessive speed can severely reduce your control and limit your ability to react to unforeseen obstacles. It’s Simple. 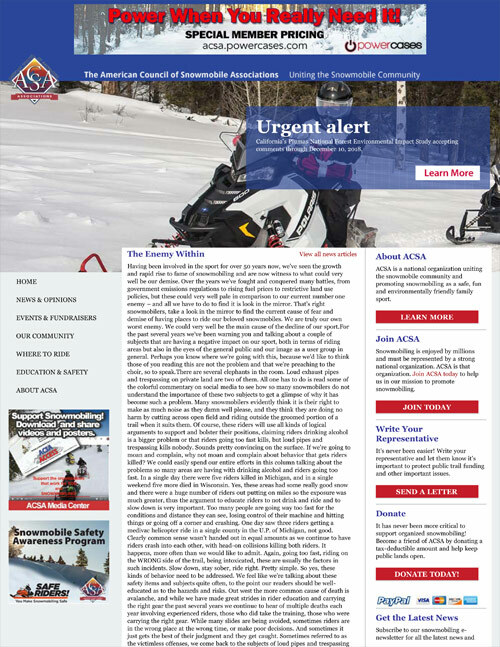 Slow Down. Think. Don’t Drink and Ride Snowmobiling public service announcement focusing on the dangers of snowmobiling and drinking. 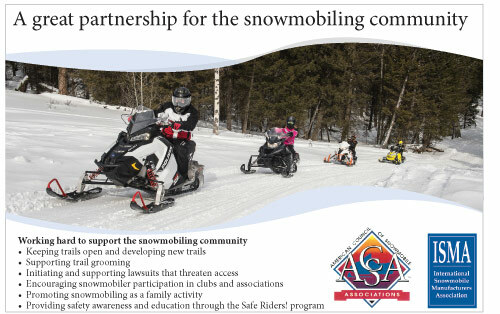 "A great partnership for the snowmobiling community"